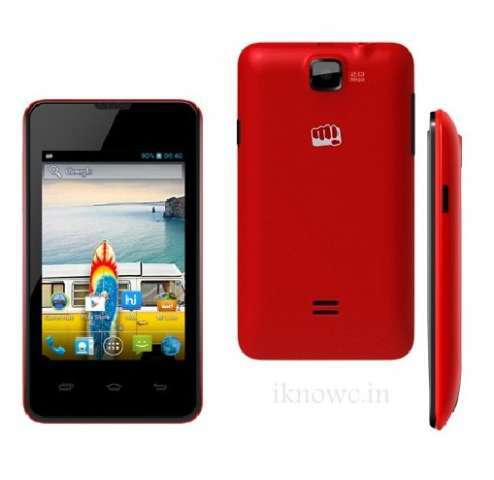 Micromax has recently launched another smartphone, the BOLT A58. The phone comes with entry level specifications and features. The handset has 3.5-inch capacitive touch screen display with 320x480p resolution, 1GHz dual core processor and 512MB of RAM. The smartphone runs on Android 4.2.2 Jelly bean Operating system and packs with 2MP fixed focus rear camera. It features DUAL SIM, 3G, WiFi, Bluetooth, micro USB, universal audio jack and packs with just 1200mAh battery. The Price of A58 Bolt is not revealed yet but considering the specs it would be Under RS.5,500 and it comes in RED colors. In mean time check out Amazing Smartphone from Zen Mobile and Micromax Canvas Turbo A250.